Some people who were raised as Christians come out of four years at a secular university as humanists. Some come out with completely wrecked lives. Some stop going to church. I—well, I came out a fan of some contemporary Christian music. I would think this minor change would be acceptable, all things considered, but it’s fairly controversial. Over my college experience, being involved with a more diverse group of Christians from various backgrounds has exposed me to many new things, including music. I have had mixed reactions. The instrumentation and style are different. For some songs, I’ve analyzed the lyrics and really can’t find anything wrong with them. They worship God and share biblical truth. Others have flaws or are overly repetitive. I think it is important to be moldable in one’s beliefs (not easily swayed, but willing to change), and this is one of the ways in which my views have somewhat shifted. 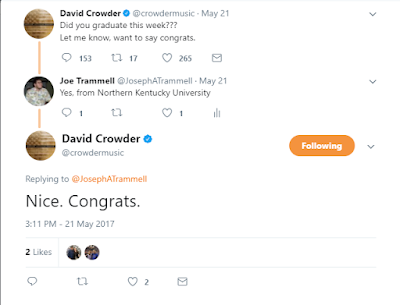 I had been given the impression that all contemporary Christian music was bad, but as we will examine, that is not always the case. I still enjoy more traditional music. Hymns are fantastic and beautiful and share great truths. (A number of newer songs, contemporary or otherwise, use them as bridges or choruses, e.g. 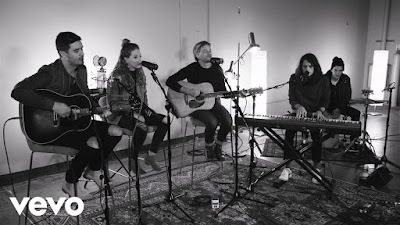 “Shoutin’ Time” by The Hoppers, “Broken Vessels” by Hillsong, “They Should Have Cried Holy” by Greater Vision, “My Heart is Yours” by Passion, etc.) I was raised listening to Southern Gospel and still listen to it. One of the aversions to contemporary music is that people think it comes at the expense of older music or different music. Embracing newer songs of different styles does not mean throwing out the older ones. Readers of The Hunger Games do not have to throw out The Great Gatsby, and fans of The Great Gatsby can still read Robinson Crusoe. It’s slightly amusing that many people who cringe at the sight of a drumset in church worship are okay with a drumset at a Southern Gospel concert, when the goal of both is the same: worshiping God. I don’t know what has changed between David’s day and today. I enjoy creative instrumentation in music; for example, I play in my home church’s orchestra with other brass, woodwinds, and strings. 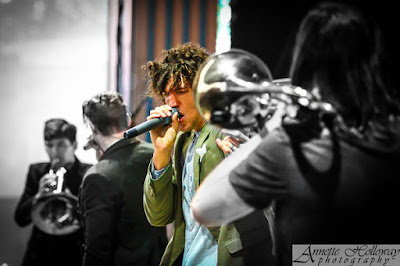 I love to see bands like for KING & COUNTRY and Newsong mix in a lot of brass, strings, and percussion. Many complaints I hear about contemporary Christian music remind me of my talks on the streets with advocates of abortion. There is a real lack of understanding of the issue and a whole lot of presuppositions. And when the individuals are forced to think about their reasoning, they may find that their biggest reason for holding their views is that they’ve held those views for years. They would lock arms and sing “I Shall Not Be Moved”, except that song might be too different stylistically to be accepted. The arguments I hear against contemporary Christian music can often be applied to other forms of Christian music. I’ve heard the audacious claim that contemporary Christian artists are “not saved”. I’m sure this is true of some, because many people have fallen into this trap, music industry or otherwise. But this could have been true of older writers. I know it has been true of artists in Southern Gospel. There have been singers who thought they were saved, but realized they weren’t. One singer was blackmailed into expressing his homosexual struggles and left the ministry temporarily. There was restoration for these, just as there can be for anyone in contemporary Christian music. Another singer committed suicide last year after having an affair and getting involved in criminal activities. Point being is that we can’t know the hearts of these individuals. Most of them are Christ followers, but some may not be. It’s not enough to write off entire genres of music. Another argument I’ve heard is that they just “do it for the attention”. Again, we don’t know their hearts. There is certainly attention to be gained in the music industry, regardless of popularity. 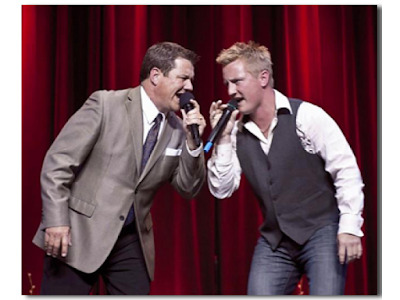 Contemporary Christian artists have larger fan bases, but Southern Gospel artists have more direct fan interaction. We can only speculate about their motives. The complaint about different styles or instrumentation also doesn’t hold up. Contemporary Christian music is not the only Christian music that uses guitars, bass, percussion, and orchestras. 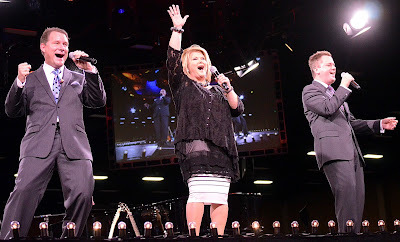 Southern Gospel concerts aren't exactly stoical (and that's okay). I know that we can turn this around. Instead of burning them down. We act like fools and say we are wise. Love is hanging by a thread. There’s nothing necessarily wrong with them, but I would not know these were Christian lyrics unless I were told. It sounds more like a teenage rebel song than a Christian song, and it is actually contrary to what the Bible tells us. It’s not our life. It’s God’s. We’ve given it to Him because He can order it better than we can. When I crank it like a chainsaw. Set the bar next level. Lay in the cut with them elbows back. Engine smokin' just like this track. Shirt be soakin' from all this sweat. I heard “Chainsaw” for the first time over two years ago, and I still think it is totally irrational. The same is true of Moses and Aaron (Numbers 20:6), Israel as a whole (Leviticus 9:24, I Kings 18:39), Abram (Genesis 17:1-3), Ezekiel (Ezekiel 1:28), the beings in Heaven (Revelation 7:11), and even the Philistine god Dagon (I Samuel 5:2-4). There isn’t much vacillation or variation there. Everyone fell on their faces before God. Any speculation is unnecessary. Savior, He can move the mountains. He rose and conquered the grave. All my fears and failures. Death could not hold you, the vail torn before you. You silence the boast of sin and grave. For you are raised to life again. You have no rival; You have no equal. Now and forever, God, You reign. Yours is the Kingdom. Yours is the glory. Yours is the name above all names. Passion performs an acoustic version of "Worthy of Your Name"
I'm in a war every minute. I know for sure I'll never win it. I am David up against Goliath. And it's a fight for my attention. I'm being pulled every direction. Lord, won't You help me believe what I believe? ‘Cause You are bigger than any battle I'm facing. You are better than anything I've been chasing. Savior and royalty, the only hope in me. The King of my heart, heart. There's a hand stretched out through your deepest doubt. But we can stay close to the One who knows. And He's never gonna leave, no. Knowing that Your perfect grace has brought me to this place. Because of You I freely live; my life to You, oh God, I give. I lift my voice ‘cause You set me free. All that I am I place into Your loving hands. And I am Yours, I am Yours. Our God, a firm foundation. As nations rise and fall. We trust the Name of Jesus. You are the only King forever. Almighty God, we lift You higher. To see that You're shaping my life. All I am, I surrender. That You're good and Your love is great. But Your Spirit’s strong in me. But, my God, You never will. In You I find my hope. You’ll never let me go. You hold my very moment. You calm my raging seas. And heal all my disease. I trust in You. I trust in You. I believe You're my healer. I believe You are all I need. And I believe You're my portion. I believe You're more than enough for me. 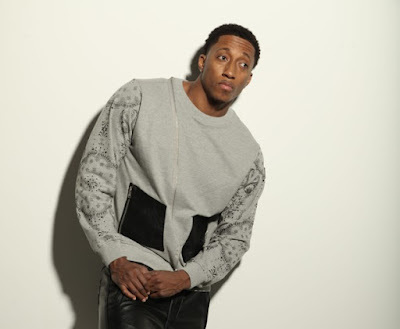 While I am not a fan of the genre, even some Christian rap can have God-honoring lyrics. Don’t stone me yet. If lyrics can’t be understood or if they are drowned out by music, then the point is entirely missed. Those criteria being met, though, we glorify God through what we say from a surrendered and worshipful heart. I can't offer You nothin’, but Your care and kindness keep comin’. And Your love is so unconditional, I get butterflies in my stomach. I got the old me in the rearview, got a new me, got a clear view. Too deep in sin to come near You. And take me home and beam me up. Before you do, just let me tell the truth. It goes on and on; you can't measure it. Can't quench Your love, they can't separate us from the love of God. My face look the same; my frame done rearranged. But I changed; I promise I ain’t the same. And died on the cross to gimme a new name. I gotta beam to glow. Was low, down, and dirty, but You cleaned me, Lord. You adopted me; You keep rockin’ me. Imma tell the world and ain’t nobody stoppin’ me. This certainly doesn’t excuse sinful behavior to reach sinners, and there is a need for separation. But if something is not biblically sinful, although it may be “sinful” in terms of our tradition or upbringing, then maybe, just maybe, these can be used to reach different people with the gospel and touch the lives of Christians with different backgrounds. There is nothing doctrinally wrong with any of the lyrics I’ve shared. They are easy to understand when listening to the songs. So what is wrong with them? 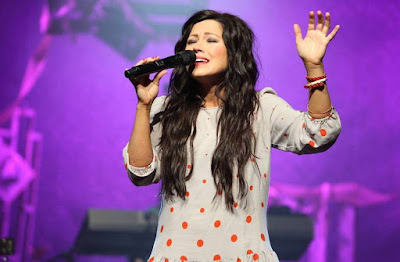 What is the reasoning behind rejecting certain types of Christian music? Is it really doctrinal, or is it tradition-based? Do these lyrics and these people not glorify God? Rejecting something because our tradition and upbringing tells us to, rather than because the Bible tells us to, puts us in the camp of the Catholic and Orthodox Churches, and I’m pretty sure we left that centuries ago. Contemporary Christian music is extremely diverse. Having some bad songs does not make them all bad. We need to examine these on a case-by-case basis. Making sweeping generalizations is irresponsible. Different Christian music speaks to and reaches different kinds of people. Do the differences in music and its messages violate doctrine, or are they just different from your preference?